A pair of Recycled Glass Bud Vases from Home & Garden. These Garden Trading vases are ideal for simple, natural arrangements and single stems. 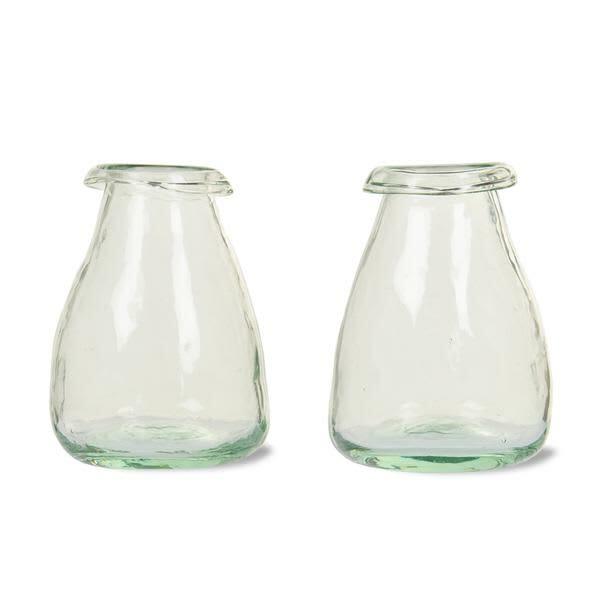 With their curves and rolled tops, these squat bud vases are versatile vases to add to your collection.